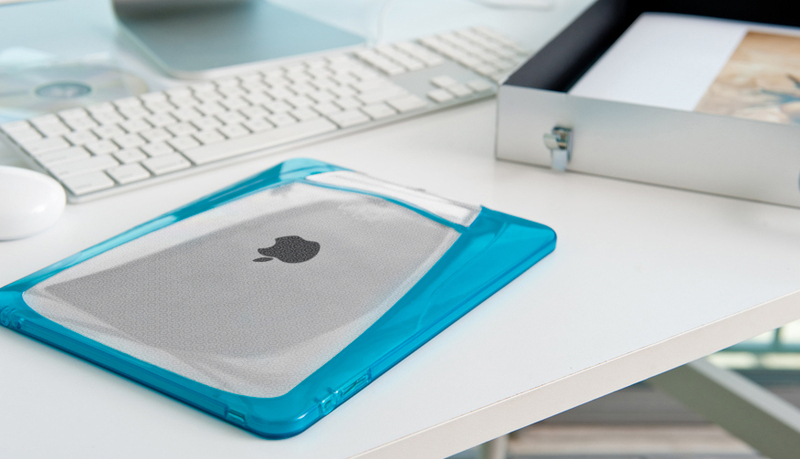 iSkin today officially released their cases for the iPad after a long time of research and testing. The Vu case seen above is a hybrid case that combines a hard plastic shell (clear part) with softer plastic found on iSkin's Solo cases. The Vu has a removable bottom hatch that allow for docking with Apple's iPad Dock. The Vu is available in seven colors with a price tag of $64.99, and ships June 29. 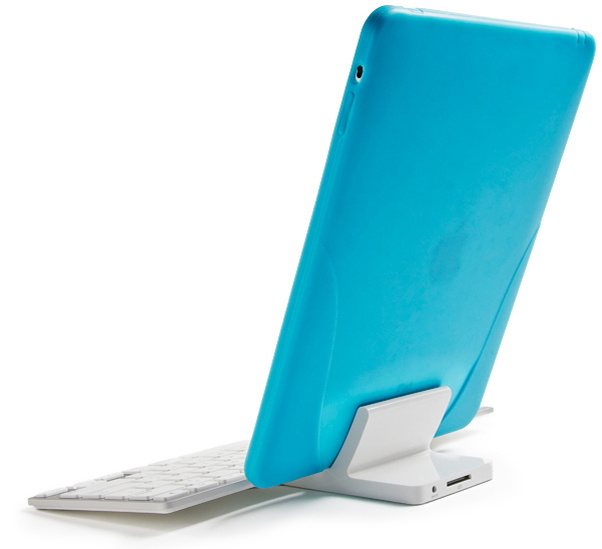 The Duo iPad case seen below is made out of Microban soft silicone and has a very slim design. Also, the Duo is completely dockable with Apple's iPad Dock. The Duo features side grips for even better handling and covers your iPad's front bezel completely with black patterned trim. The Duo is available in seven colors with a price tag of $49.99, and ships on June 22.